What objects exist in the social world and how should we understand them? Is a specific Pizza Hut restaurant as real as the employees, tables, napkins and pizzas of which it is composed, and as real as the Pizza Hut corporation with its headquarters in Wichita, the United States, the planet Earth and the social and economic impact of the restaurant on the lives of its employees and customers? In this book the founder of object-oriented philosophy develops his approach in order to shed light on the nature and status of objects in social life. 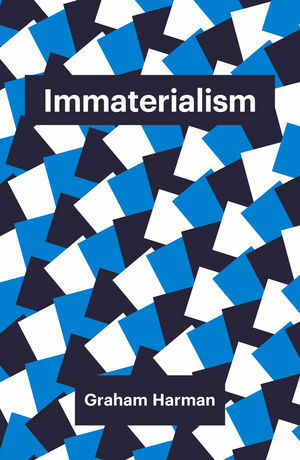 While it is often assumed that an interest in objects amounts to a form of materialism, Harman rejects this view and develops instead an “immaterialist” method. By examining the work of leading contemporary thinkers such as Bruno Latour and Levi Bryant, he develops a forceful critique of ‘actor-network theory’. In an extended discussion of Leibniz’s famous example of the Dutch East India Company, Harman argues that this company qualifies for objecthood neither through ‘what it is’ or ‘what it does’, but through its irreducibility to either of these forms. The phases of its life, argues Harman, are not demarcated primarily by dramatic incidents but by moments of symbiosis, a term he draws from the biologist Lynn Margulis. This book provides a key counterpoint to the now ubiquitous social theories of constant change, holistic networks, performative identities, and the construction of things by human practice. It will appeal to anyone interested in cutting-edge debates in philosophy and social and cultural theory. Graham Harman is Distinguished Professor of Philosophy at the Southern California Institute of Architecture (on leave from the American University in Cairo). "It is rare to find academic and philosophical writing that is this clear. Harman’s explanations of not just his own position but also the other views to which he responds are thorough, concise and in a style and vocabulary that are accessible to non-experts."